Old Navy - Women's, Girls & Toddler Tanks $2 + More! 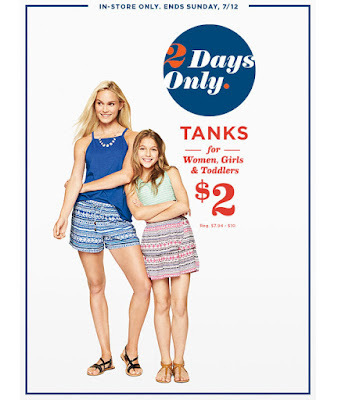 Hurry over this weekend to Old Navy where you can get Tanks for Women, Girls and Toddlers for only $2 (in-store only)! While there check out the 60% off Dress Sale as well! There are also plenty of hot clearance savings so be sure to check it out. Or check out Old Navy.com, where you can get 30% off your online order including clearance with the promo code COOL at checkout! I LOVE these! 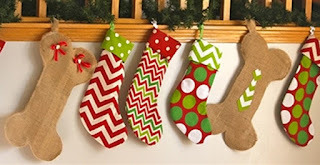 Right now you can get Stockings for the Whole Family Including your Dog for $12.99 (Retail $24.99). Shipping: $4.99 for the first item and $3.00 for each additional item. US only. Estimated to ship by Jul 27. This weekend only, go over to Philosophy where they are offering select 16 oz. shower gels for just $12 with the code showertime at checkout – regularly $18. Plus, get 5 FREE deluxe samples with any $35 Philosophy purchase with the code insiderschoice at checkout (and yes, these codes can be combined!). The free samples include 6ml purity made simple, 6ml microdelivery exfoliating facial wash, 7ml renewed hope in a jar, 3ml renewed hope in a jar eye, and 12ml miracle worker overnight. Today ONLY - you can get this Bella Cake Pop Maker for $9.99 (Retail $19.99). Enjoy delicious cake pops and donut holes with this cake pop maker, which bakes up to a dozen pops at a time. Indicator lights let you know when the maker is ready to use. Here's a fun party idea! Right now you can get a 50-Pack LED Helium Balloons - Assorted Colors for $19.99 + Free Shipping (Retail $30). Transform any space into a party with this pack of LED helium balloons. 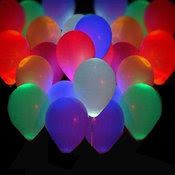 Made of durable latex material and an LED bulb as the light source, these party makers are good for weddings, festivals, birthday parties and so much more! A wonderful decoration for weddings, parties, or special festivals, and create a warm and romantic atmosphere. Today only, Shutterfly is offering ONE of 3 FREE gifts when you enter the promo code FREECHOICE at checkout. Choose from a FREE magnet (a $5.99-$8.99 value), a set of address labels (a $9.99 value) OR a mouse pad (a $9.99 value)! Please note that you will need to pay shipping. As a deal idea, you could add a set of Address Labels to your cart for $9.99, enter the code FREECHOICE and pay just $2.99 for shipping! 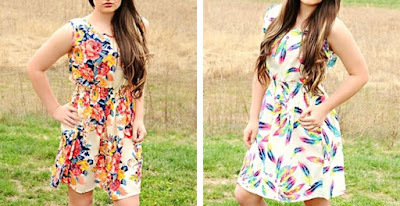 Hurry over to Jane.com where you can get these cute Summer Dresses for only $10.99 (Retail $30)! There are 21 styles to choose from but these deals always go really fast! Lightweight, comfortable style, floral print, a must have for summer. Can be paired with leggings. RUNS VERY SMALL. Order up a size. $14.99 - Personalized Youth Baseball Tees!! Sizes 2y-12y!! This weekend - Discount Mags is offering 2 Magazines for $9.99. Head over and choose from many Best Sellers! Did you know you can gift part of your bundle to friends? Just select "this will be a gift" after you make a selection and you can send specific magazines from your bundle to a separate mailing address and even add a personalized gift note. Available July 11th &amp; 12th. 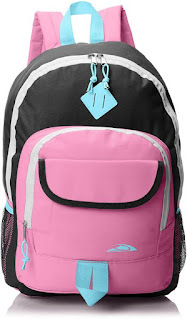 Right now Amazon has a TON of cute Backpacks from only $7.99! There are quite a few super cute ones at this price. Awesome chance to grab a few for back to school! Today you can get a 1 Year Subscription to Scooby Doo Team Up Magazine $8.41 with code 15SS0712 at checkout. Scooby-Doo Team Up is a bi-monthly series that sees Scooby-Doo team up with some of our favorite superheroes and Hanna-Barbera characters starting with their friends Batman &amp; Robin! Join everyone's favorite crime-solving great dane on a whole new slew of mysteries and adventures! New Coupons - Kellogg Pop-Tarts, Prego, Barilla + More! Hurry over to print these new HOT printable coupons before they reach print limits. Below are direct links so you can easily print your favorites. Aeropostale - School Uniform Polos From $8 (Retail $24.50) + More! Get ready for back to school with hot deals at Aero! Right now you can shop their uniform shop for great deals and get Free Shipping on Orders Over $75! That puts basic Boys Aero Pique Polos $10 (Retail $26.50) and Girls Pique' Polos $8 (Retail $24.50). While there check out the Up to 70% Off Clearance at Aero! Today only you can get this super cute Kids Wooden Picnic Table for ONLY $49.99 (Retail $79.99)! This classic Kids Picnic Table is made out of Fir wood. It is ready to be painted or stained, as it is unfinished. The rounded edges and corners are safe for children. Suitable for indoor and outdoor use and seats up to 4 kids. Minimal assembly required; hardware and instructions included. - May be painted or stained in any color!